Many different designs to choose from. Make your garden somewhere you love to be. Quality products engineered with expertise and care. Whatever your budget, ACP will have something to suit your needs. 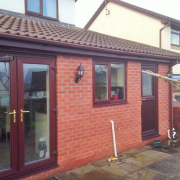 Abercarn Concrete Products and Building Supplies is a family run business based in South Wales, that has been trading and serving the Gwent area (Newport, Cwmbran, Pontypool, Blackwood, Newbridge, Crosskeys, Cardiff, Caerphilly areas and beyond) since 1982. The company started off making it’s own unique concrete blocks and paving but has expanded the range many times over the years, from the manufacture of coping stones and pillar caps to the wide range of decrotative patio slabs and ornamental features made at present. Since that time we have handled many Industrial Contracts such as Concrete manhole cover production and Local Authority Work. Abercarn Concrete Products (ACP) will also work at the other end of the scale producing ‘one off’ bespoke products if the customer has or requires a custom made mould. 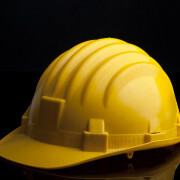 The company has grown and stocks all types of building materials. We can now supply the materials needed for large scale projects – for example a ‘self bulid’ or smaller jobs like a garden wall. The advantage supplying building materials and making our own concrete products gives us is, we can offer great services and knowledge to all customers at affordable prices. 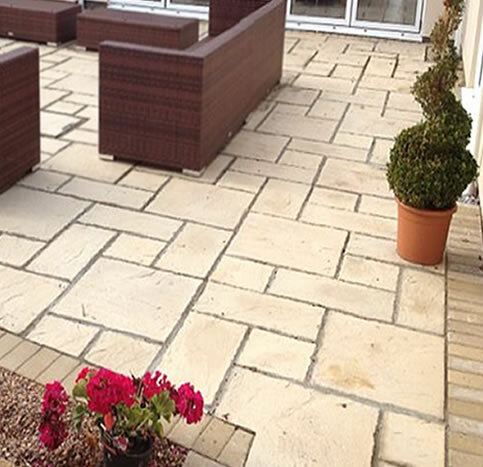 We have dealt with Abercarn Concrete Products for many years, when we are laying a patio, they are the first port of call. The boys were very helpful with the design of my paving slabs I had laid in June 2013. I’m thrilled with the end result. 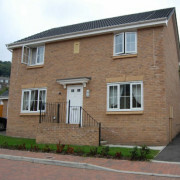 Over the years I have been a regular customer of Abercarn Concrete. I keep going back because the level of service is second to none. keep up the good work. I built my extension with materials from ACP. The staff were great to deal with and the prices were spot on. Highly recommended.